NEW YORK CITY – Feb. 17, 2015 – Mobile games developer FreshPlanet today announced that SongPop 2, the sequel to the immensely popular music trivia game SongPop, is currently in production for release later this year. 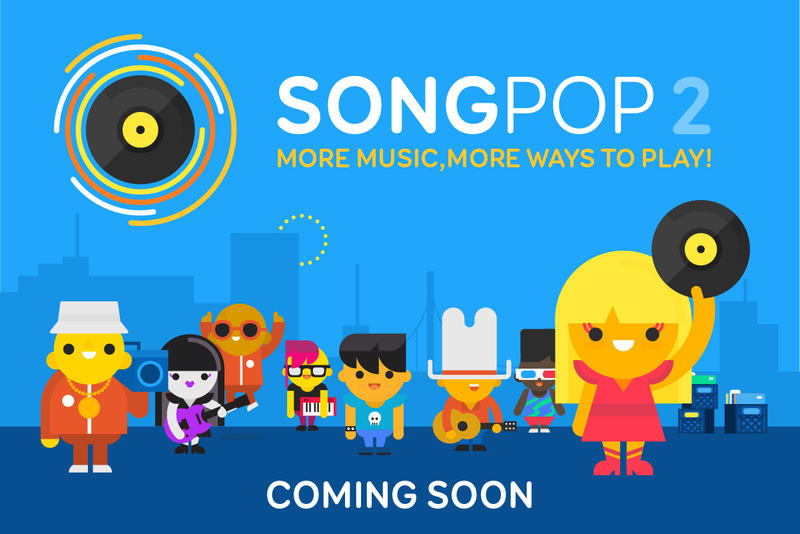 SongPop 2 will be available on iPhone, iPod touch, iPad, Facebook canvas, and Android devices. The title builds on the Name That Tune™ foundation of the original IP with a fresh new face and a slew of brand new content: new ways to play, tens of thousands of new songs, and more. SongPop 2’s major new feature is Party Mode, a brand new tournament-style mode that allows players to test their skills without needing to wait around for their opponent to make a move, and lets them engage with songs outside of the lists that they’ve unlocked. Players will compete in a series of ten-question music trivia quizzes, each one adding to their overall score on the global leaderboard. When the party’s over, fabulous prizes await the top players – including coins, power-ups, and even VIP badges. On top of SongPop 2’s expansive catalogue of music, FreshPlanet will be adding a new pack of six playlists (of 200 songs each) every week, all of which will be free-to-try. New users will start with six playlists, personalized to suit their musical taste; returning players can sync their accounts to find all of their unlocked and purchased playlists from SongPop ready and waiting for them in SongPop 2. In addition to SongPop 2, FreshPlanet will be releasing the rock’n’roll spin-off Rock On – A SongPop Adventure, a single-player music trivia game that lets players virtually go on tour with a band, progressing by answering questions about the greatest hits of rock’n’roll throughout the ages. SongPop 2 will be available on the Apple App Store, followed by Facebook and Google Play, and Rock On will be released exclusively on iOS. Launch dates for both titles will be revealed soon. FreshPlanet is one of New York City’s largest venture-backed game development studios poised at the intersection of mobile, social and pop culture. In 2012, FreshPlanet launched the mega-hit social music gameSongPop, amassing more than 100 million downloads and earning global recognition. Continuing its legacy for excellence in mobile and social gaming, FreshPlanet is working on a slate of mobile entertainment projects that bring players together around the world through pop culture. To learn more about FreshPlanet and its current lineup of games and apps, visit the www.freshplanet.com or on Twitter.